It is common to see similar personality characteristics in the hands of parents and children, and at times even between grand-children, and nephews and nieces. This is reflected on the hand. It was interesting to note similarities in the hands of Sharad Pawar and his nephew Ajit Pawar (elder brother’s son). 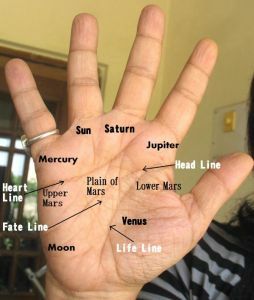 This similarity lies in the formation of their Jupiter and Apollo fingers (index and ring fingers). In the hands of both these men, the Apollo or ring finger is a little longer than their Jupiter or index finger. 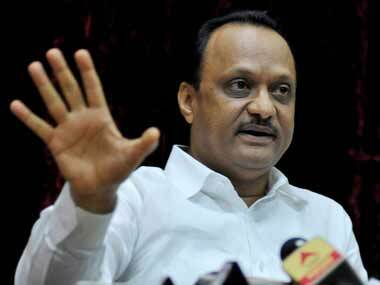 Here is a photograph of the hand of Sharad Pawar and here is the hand of Ajit Pawar. A ring finger longer than the index finger predisposes the owner to be more competitive and risk-taking than the average person, not to mention more assertive. Entrepreneurial qualities are also shown. In fact, scientific studies have established a link between personality and this digit ratio, but hand readers knew of this link a long long time ago. What they also know is that long ring fingers belong to people who like to be in the limelight. Such people invariably seek leadership positions and wealth. It is important to check whether the ring finger is actually longer, or just looks longer because it is high-set. If it is not really longer than the index finger, the significance is watered down. And at times the ring finger looks longer than the index finger because the index finger itself is shorter than normal. This can also alter the meaning. In the case of Sharad Pawar and Ajit Pawar, not only does the Jupiter or index finger appear to be shorter in actual length than the ring finger, the index finger is also significantly low-set, particularly on Sharad Pawar’s hand. Short index fingers which are also low-set are not the hallmark of a good leader. An inner pride of personality is not a characteristic they possess, the type of pride which can prevent them from doing something they shouldn't, particularly when no one is looking. Read posts about other Maharashtra politicians: Raj Thackeray's hand analysis or The Hand Analysis of Nitin Gadkari, the BJP President or What do Suresh Kalmadi's hands tell us? or Bal Thackeray's hands tell us about his character or read about other Politicians, from India and the rest of the world. There have been accusations of corruption against these two politicians. Can you find that out from their hands? Well, as I mentioned in some of my earlier posts, it is not possible what a person actually does as that depends on many factors. One can only think of probabilities by seeing the mind-set of the person. When it comes to these two, well, my last lines say it all. When it comes to the P-family, I guess one doesn't have to see any palm/fingers to know if they are corrupt or not. I wonder why there is no upper-limit on the retirement age for politicians? ?